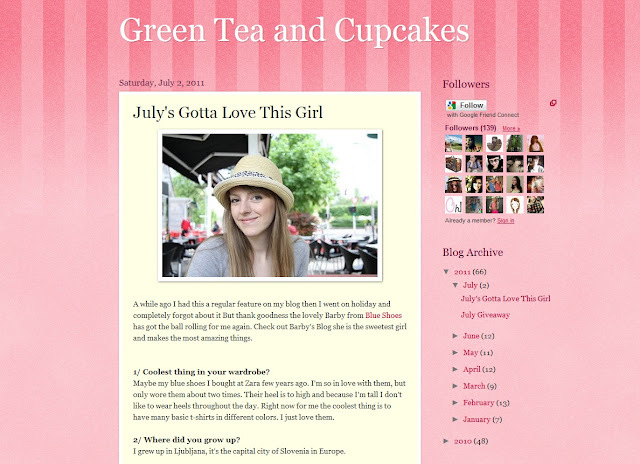 The girl behind Green Tea and Cupcakes made a post about me and chose me for her series of Gotta Love This Girl for the month of July. I'm so happy and excited! You can read my whole "interview" here on her blog. And thank you again Luan for featuring me!! i read it, it's awesome, loved reading more facts about you!